In light of the sad events of this week, I’ve decided to start appreciating the people that mean the most to me while I still have them. I’ve written about David Marsden previously, but it seems I cannot say enough how much that man has enriched my life over the short period of time that I’ve gotten to know him. It all started in March 2008, just a little over a year ago. One of the wonderful things about writing a blog is that you get to meet like-minded people from all over the world. Prior to WordPress, I wrote Rave and Roll over at Blogger (long story about why I left – totally off-topic). Somehow, and I can’t remember who wrote first, I met a fellow music blogger from Canada named RalphD when music-related comments were traded. RalphD runs a fabulous blog dedicated to David Marsden called Marsbar Theatre. One thing led to another, and RalphD convinced me to listen to David’s show streaming live from 94.9 The Rock out of Oshawa, Ontario. Just to be able to say that I finally acquiesced, I tuned in one night and was shocked when I became instantly hooked. The show is my musical equivalent of crack. Where has David Marsden been my entire life? Blazing an incredible trail through the broadcast world. He took a formulaic industry and turned it completely upside down. Picture this: It’s early in the 1980’s and stuffed shirts are gathered in a conference room plotting how to run a business swiftly going downhill. The reason? MTV and music videos were kicking the stuffing out of radio. The solution? Instead of making radio more entertaining to try to win a losing battle, said stuffed shirts decided to dictate to the world what they would hear and how it would be delivered. David Marsden emerged at this time in a little yellow-house-converted-to-radio-station as an absolute visionary. At the helm of fledgling CFNY-FM out of Brampton, Ontario, he broke every rule as he pioneered and championed free-form broadcasting. No rules, just honest-to-goodness music and dialogue that came totally from the heart and soul of a true revolutionary. And he transformed lives on both sides of the border. I have heard the stories first-hand from people who came of age during Marsden’s reign, who listen to him to this day, and revel in the memories he helped to create. I feel pangs of envy as I hear them talk of discovering the best music they ever heard, or how they woke up every morning smiling as they listened to the funniest and warmest on-air personalities. That was the time that radio lost its magic for me here in south Florida. Truth be told, it sucked rancid canal water. Check out RalphD’s blog Marsbar Theatre where you can see David’s amazing musical playlists. Visit David Marsden’s website to gain a bit of insight into this DJ Hall-of-Famer. 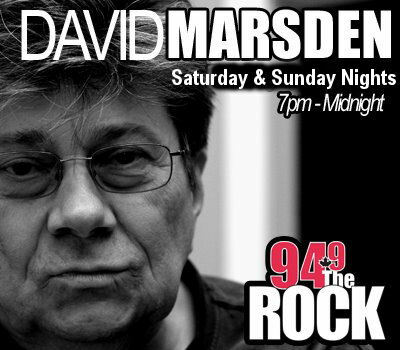 Listen to David Marsden’s show on 94.9 The Rock Thursday and Friday nights (starting again on July 2, 2009) from 7 pm until midnight (EST). Read up on some vital CFNY history at the Spirit of Radio website, lovingly maintained by a fan. Last Sunday 3-15-2009, The Marsden Theatre Chatroom gang, led by Sistahmar, held a birthday bash for legendary Spirit of Radio DJ David Marsden. It took place at Andy Pool Hall in Toronto, ON. Although I was unable to attend, I was privileged to make a video montage using photographs from three members of the chatroom gang: KRASH, Acheliah, and Warrlock. Rob Stuart from the highly popular Canadian band Slave to the SQUAREwave graciously gave me permission to use their music as a backdrop. 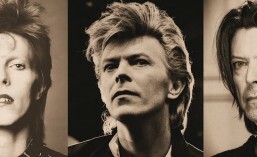 David features the band every week on his show; they have a fabulous mutual admiration society. As a special added treat, DJ Geets Romo made a surprise appearance at Sistahmar’s behest. He delighted the crowd, and David has made a promise to have Geets on his show sometime in the near future. So stay tuned! Also in attendance were power-DJ Don Berns (Dr. Trance) and the rabble-rousing Reverend Jeremiah. For the best free-form broadcasting you will ever hear, tune in to David Marsden’s show on 94.9 The Rock streaming live Thursday and Friday nights from 7 pm until midnight EST. Get lubed up and ready for David to stick a couple of tunes in your ears – no one does it better.